Deep in the middle of another never-ending Winter in New York, we’ve wrapped up all our vacation dreams into one very long weekend in the search of somewhere slightly exotic, warm, yet easily accessible. In the days leading up to our departure, our excitement levels peak as we flock south of the boarder to rediscover ourselves in Mexico. 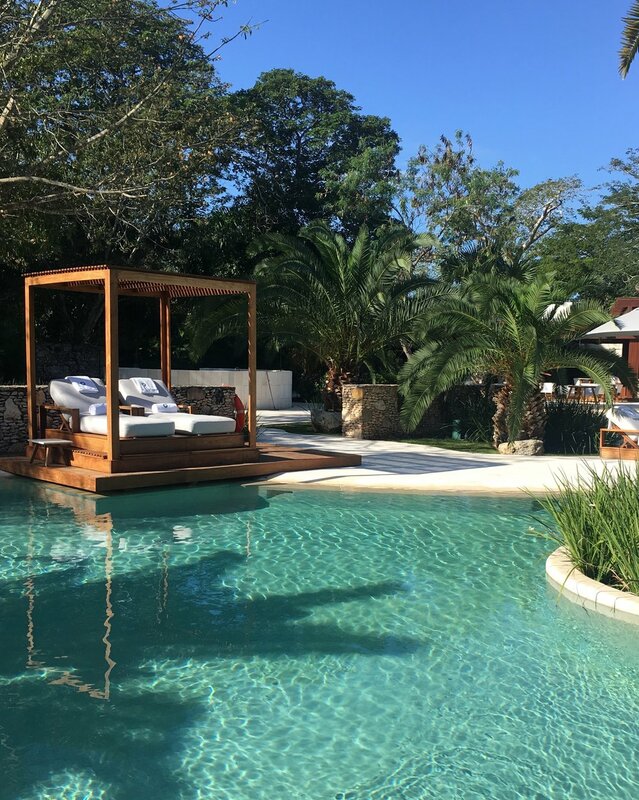 A short 45 minute taxi from the main airport in Merida, we make our way up into the unspoiled Yucatán jungle to the recently opened luxury wellness retreat, Chablé Resort & Spa. It is just past 4pm as we arrive at the estate-esque gates, slightly shrouded in an overcast haze. There’s an air of magic that comes with arriving to an unfamiliar place as the afternoon light chases the evening. This restored 19th-century hacienda is spread out over 750 pristine acres which were inspired by the natural beauty of the land, steeped in tradition and Mayan culture, transformed from a once thriving agricultural estate. We’re happily greeted by the hotel staff and whisked away on a golf buggy, quickly arriving at small terra-cotta color cottage. A warm greeting from the hotel manager and a fuss-free check-in process is supplemented with a slew of captivating information about the features of this family-owned property. 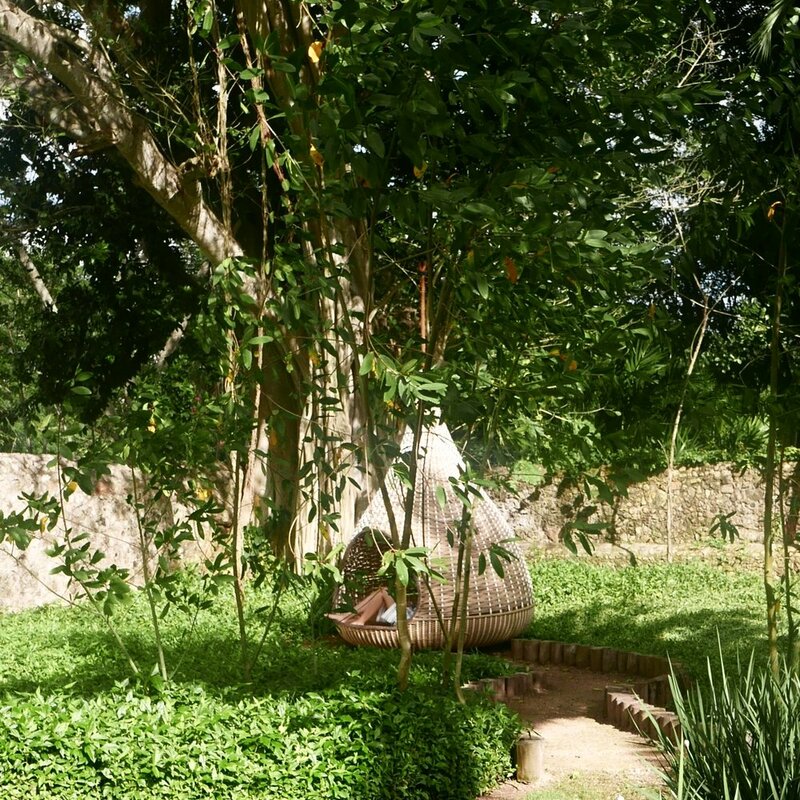 Eager to explore the extensive grounds we take the long route down to our private suite spying some of the original stone archways that has been thoughtfully integrated into what feels like a modern oasis. 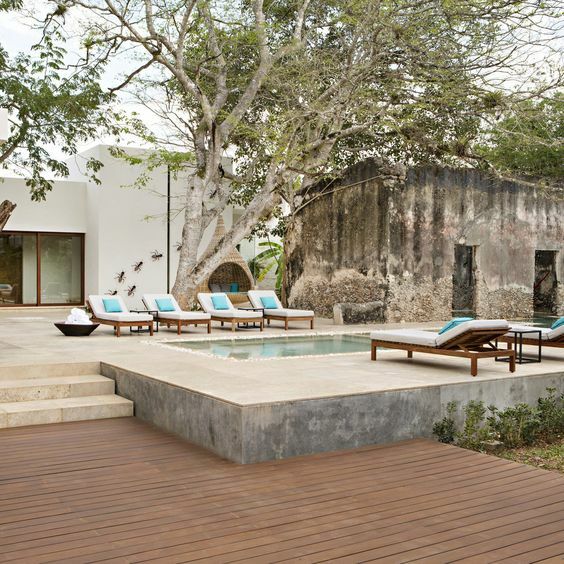 Our casita is one of only 38 and nestled amongst an abundance of lush tropical greenery. Our private pool is front and center with a space for my husband Chris to enjoy his morning coffee and for me to live out my tropical fantasies as I swing for hours in the hammock. Inside is light filled and minimally decorated: crisp white linens adorn our king canopy bed with handcrafted timber furniture and the daily health and wellness activity list is bedside. Add to this, the three glass showers with options to rinse inside or outside – we now know what heaven looks like! I curl up into the corner sofa admiring our room and set my intentions for what activities I want to join the following day. Choices are yoga, pilates, meditation and even a daily group run. Every element of Chable is designed around wellness, balance and indulgence and that is the perfect combination we wanted for this trip. We’ve been here roughly 30 minutes and we would happily stay here for an eternity. After a quick freshen up and a few Instagram pics later, I contemplated heading to dinner sans footwear thinking I could do some ‘grounding’ as we make our way across the lawn to dine poolside. On entering the main entrance to the restaurant (with shoes, as strongly encouraged by my better half) it’s a blissful sanctuary and a masterclass in resort style. The blue patterned tiles and white linen furniture are elegantly highlighted by lanterns scattered among the tables and waters edge. The hundred-year oak tree has not been forgotten either as it too is littered with an abundance of hanging lights. A corner pair of love seats is the perfect spot for us to pinch ourselves comfortably with our salt-rimmed margaritas as we marvel at the solitude and seclusion of this stylish stay. Dinner is an a la carte feast of locally sourced produce grown in Chable’s traditional Maya garden, casually served amongst the lush gardens. We dined on ceviche, tostadas, ending with a ‘healthy’ chocolate casserole. We sink into our seats noting how each element has been carefully considered and so much love has been poured into every detail. Nothing is too much to ask and every request is met with a smile and patience as I repeat the limited Spanish I have been so proudly practicing in the weeks leading up to our trip. Surrounded by beautiful grounds in every direction, Chable is as exclusive as it is magical - a private world and we have the key. The service is perfect at every point - friendly, helpful and never in your space. With full bellies and our room only footsteps away, we slowly make our way down the softly lit path back to our casita, roll into bed and awake to the sun shining bright and the birds humming the sounds of a new day. Wellness and indulgence is the brief for this trip so I’m off to work my limbs at Pilates. Dressed the part and with mild enthusiasm I make my way out of of bed, up to the health retreat for a 9.30am start. I arrive ‘on time’ to find the class wrapping up and I’m kindly advised that the class commenced an hour earlier. My disappointment was also mild having to ‘sacrifice’ the one exercise I had earmarked for the day - some would say that is what tomorrow is for…. With breakfast included in our stay, Chris joins me at the spa restaurant for a medley of fresh fruit, yogurt and coffee. We opt to take a pair of bikes and ride down and around the property with every inch manicured and cared for to perfection by a team of 30 full time gardeners. We gently pass the time before for my midday spa appointment by swimming in our private pool, taking turns in the hammock and shielding ourselves from the reflection of our translucent Winter skin. I get back on my pushbike and ride up the incline on time for what is to be - the most extraordinary spa treatment of my life. Home to one of the only hotels in the world with its own private ‘cenote’. Chables spa overlooks this mystical sinkhole sacred for Mayan culture. I stand tall overlooking natures creation, taking in the rarity of this moment and couldn't help but feel lucky to have been given a little glimpse into this untouched wilderness.